Picture from group : Brockagh SE from the south. Picture: Brockagh SE from the south. Flattish height NW of Laragh with views, boggy paths and granite boulders. Situated at the south eastern tip of a spur from Tonelagee it therefore commands wonderful views out over Laragh to the south east and Glenmacnass valley and waterfall to the north. 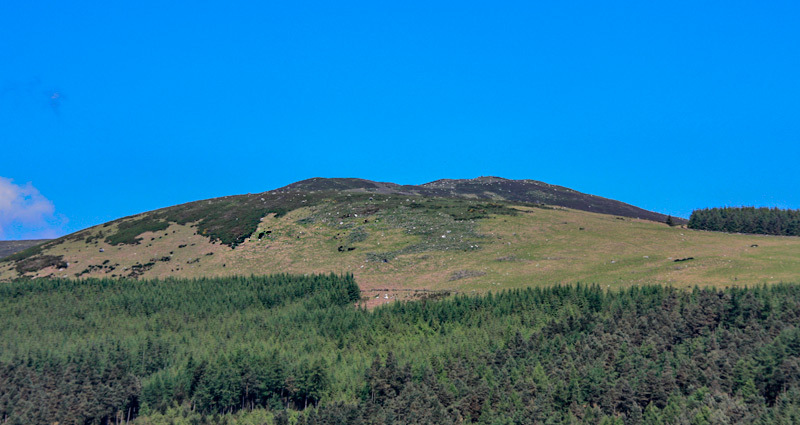 Glendalough is hidden away below you to the south and is further shielded by the Camaderry ridge. Towering over you to the north-east is the huge hulk of Tonelagee. This is an obvious route to Brockagh and further on to Tonelagee. It can also be incorporated into other circuits. While heading for Brockagh it is possible to bypass this summit, but it would be folly to do so as the views are superior to those of its higher namesake.